Excuse me while I brush the cobwebs off. At some point this month (possibly even this week), there’s going to be a Game of the Year show from Aggrochat. I’ll keep most of my thoughts contained to that show (or possibly a post after said show), but I do want to place some special emphasis on one game from last year. In a year filled with many incredible games, one stands out as my overall favorite. 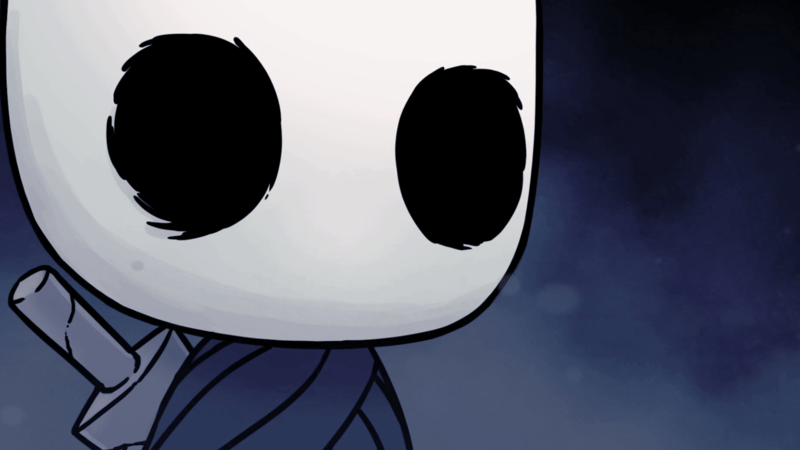 Hollow Knight was my favorite game of 2017, and also my favorite Metroidvania, period. (For anyone wondering, it’s displacing Castlevania: Aria of Sorrow.) 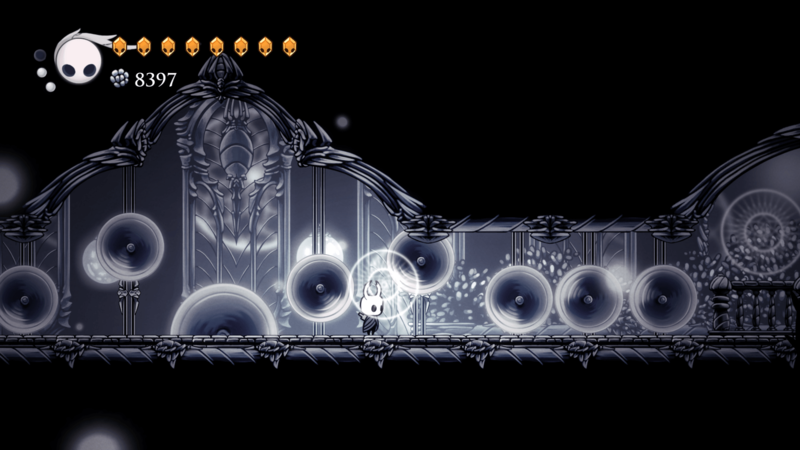 It’s a beautiful and expansive entry into the genre, set in a kingdom of bugs. The art style is fairly unique: It’s hand-drawn with limited use of color. This is fairly subtle, but it’s enough to give most areas a unique feel. Things that hurt you tend to be orange. 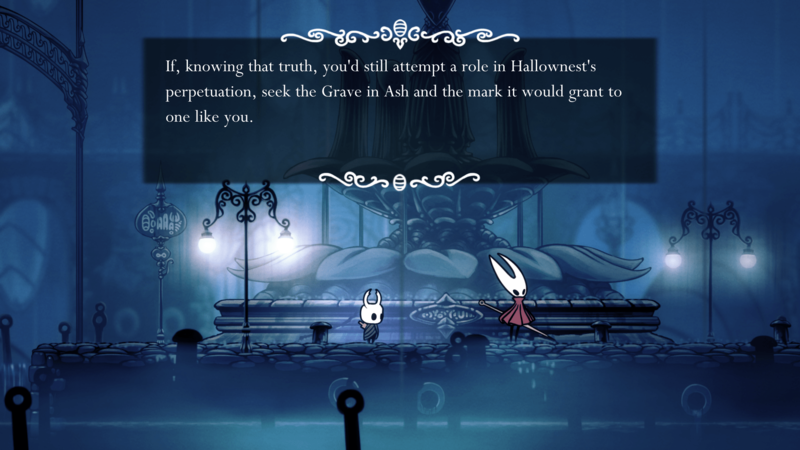 A while back, Matt Lees mentioned (when talking about Hyper Light Drifter) that “It’s a bit like Dark Souls” basically translates to “I don’t know what I’m talking about.” I’m not really going to help matters at all: Hollow Knight bears a more than superficial resemblance to Dark Souls. Aside from the obvious “lose all of your currency on death” aspect, it really shows in the storytelling. You are dropped into the kingdom and a nearly empty town with no context. Bits and pieces of the story are handed out as you go, mostly from various NPC interactions. Taken as a whole, you can get a picture of the world (and the awful things that happened before you got there). You get the feeling of being alone in a very big world, thanks to how rare it is to see NPCs that don’t want to do you harm. 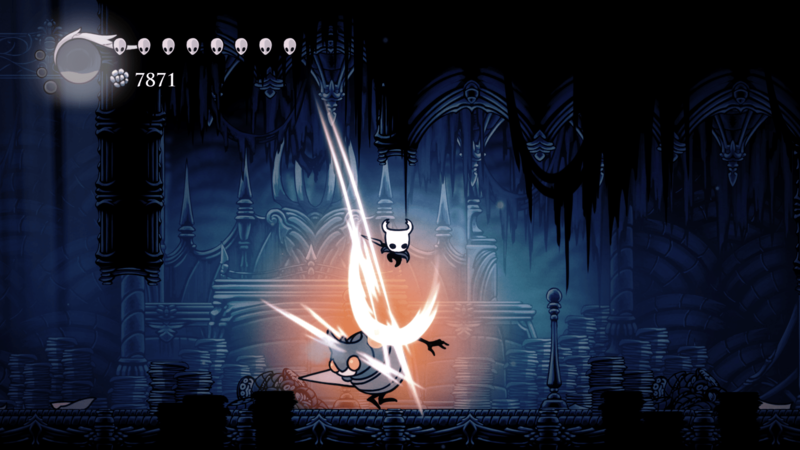 All of this without even mentioning the charms, or the bosses, or the major secrets. I really had fun with this one, and you can probably hear me repeat a lot of this in a few days.